The 2015 Ferrari California T is now available in North Miami Beach, FL at Prestige Imports, and it is one of the newest convertibles in Ferrari’s impressive legacy. While previous California models used naturally aspirated V8 engines, the 2015 California T is the first of its kind to use a turbocharged V8 – hence the new T in the name. For those who are sad to see the older engine’s career come to an end, perhaps a few impressive specs about the new engine will ease the pain. With its new turbocharged V8 engine, the 2015 Ferrari California T earns better fuel economy than its predecessors with an Environmental Protection Agency-estimated 16 miles per gallon (mpg) in the city and 23 mpg on the highway. Also impressive, the California T offers 553 horsepower and 557 pound-feet of torque commanded by a seven-speed automatic transmission that sends all of the power straight to the car’s rear wheels. Still miss that old engine? Trying to recall the power ratings other California convertibles? The 2014 Ferrari California, for example, offered 483 horsepower and 372 pound-feet of torque, which are both surpassed the 2015 California T. As impressive as the engine and its specs are, there is still a lot more to be said for the California T.
The standard features of the 2015 Ferrari California T also play a significant role in setting it apart from the competition. Standard in the original California T, there are bi-xenon headlights, dual-zone automatic climate control, a power tilt-and-telescoping steering wheel, heated rearview mirrors, leather upholstery, Bluetooth phone and audio connectivity, a touchscreen equipped with a navigation system and so much more. 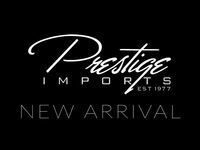 Between the most impressive Ferrari California engine yet, countless state-of-the-art features and so much more, the 2015 Ferrari California T is one of the best convertibles at Prestige Imports or anywhere else in North Miami Beach. Interested in a 2015 Ferrari California T?